There were two exciting Kepler (the NASA mission tasked with discovering planets outside of our solar system) news releases today. I’ll cover them in two separate posts. This is Part 1; stay tuned for Part 2. Announced today was the discovery of the three smallest exoplanets (planets orbiting a star other than the Sun) ever discovered. 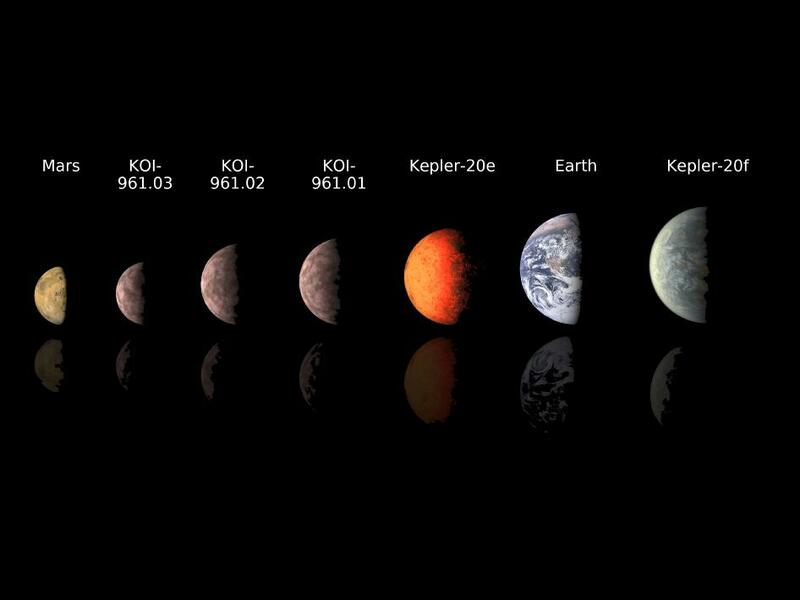 These planets are orbiting a red dwarf star, currently1 named KOI-961 (KOI = Kepler Object of Interest). These planets are all smaller than our home planet, having a radius of .78, .73, and .57 that of Earth’s. (The smallest is about the size of Mars.) Though the planets are thought to be rocky, they orbit KOI-961 very closely, making them too hot to have any likelihood of being habitable. The planets, currently 2 named KOI-961.01, KOI-961.02, and KOI-961.03, circle their host star at a fair clip, completing an orbit in less than two Earth-days. The star, KOI-961, has much less mass than our Sun. Its diameter is 1/6 the size of the Sun (which is only about 70% larger than Jupiter). 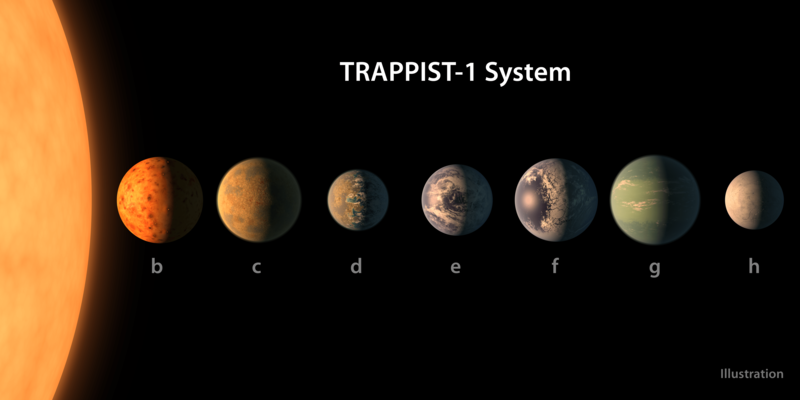 The discovery announced today came from a team of scientists, led by astronomers from the California Institute of Technology (Caltech). They made their discovery by analyzing publicly-released data from the Kepler mission. Studying KOI-961, they were able to greatly refine the preliminary estimated size of the red dwarf, and subsequently verify the presence of the three small exoplanets. If you’re interested in further details about how Caltech made the discovery, I highly recommend you read their press release. So let’s take a step back and ponder about what this latest discovery means. Coupled with the many frequent previous Kepler discoveries, we’re starting to create a big picture in which planets are ubiquitous throughout the Universe. Red dwarfs are the most common type of star in at least our own galaxy, and if one red dwarf has a planetary system, it’s likely more do… maybe even most do. We’re discovering planets around different types of stars; those similar to the Sun and those considerably different. Planets of different sizes and compositions as well. Not just large gas giants with little hope for containing life, but smaller, rocky worlds. Other Earth-sized worlds. Other Earth-like orbits. Other… Earths. The speed at which we’re making these otherworldly discoveries is astounding and encouraging. It wasn’t long ago, I sat wondering if there were other planets out there, beyond our solar system, and if they might be discovered in my life. Today, I’m overwhelmed trying to keep up with all of the new exoplanet discoveries! This is an exciting era to live in. Kepler keeps on Kepler-ing on. Earlier this year, I mentioned that the Kepler mission team was about to make an announcement the following day about a new discovery. 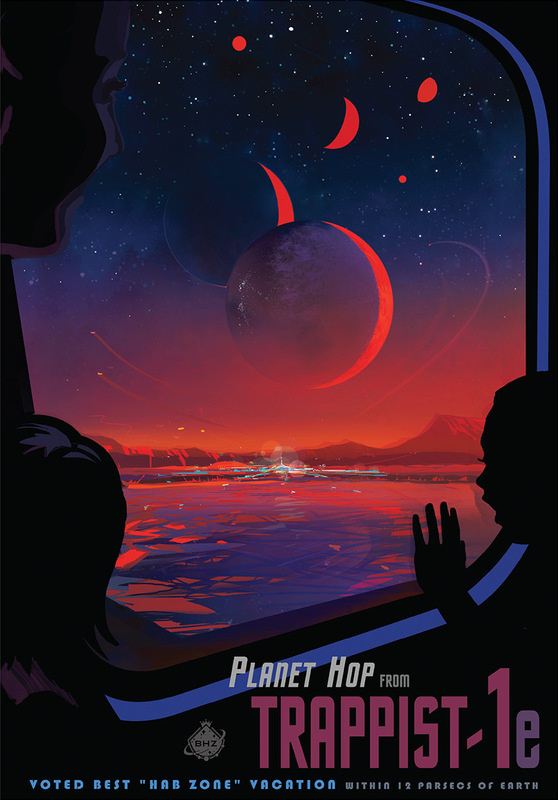 The following day, the Kepler team announced the confirmation of a 9th exoplanet. Then, just earlier this week, I posted about Kepler’s 28th confirmed discovery, Kepler-22b. 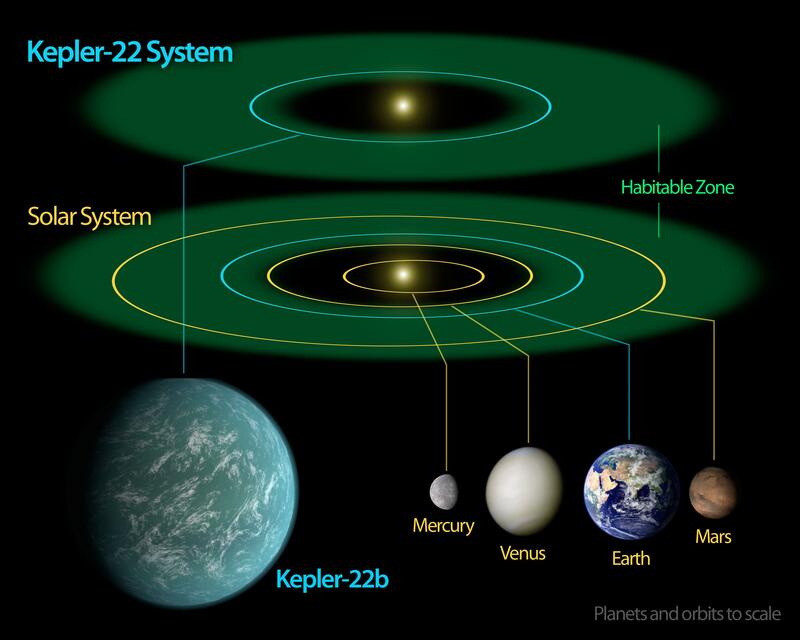 Kepler-22b was exciting, as the data reveals that it exists within the habitable zone of its host star. MOFFETT FIELD, Calif. — NASA will host a news teleconference at 1 p.m. EST, Tuesday, Dec. 20, announcing new discoveries by the Kepler mission. Kepler is the first NASA mission capable of finding Earth-size planets in or near the “habitable zone,” the region in a planetary system where liquid water can exist on the surface of an orbiting planet. Although additional observations will be needed to reach that milestone, Kepler is detecting planets and possible candidates with a wide range of sizes and orbital distances to help scientists better understand our place in the galaxy. We’ll check back in tomorrow to learn what new and exciting discovery Kepler has for us. At the beginning of this year, we were excited to help break the news of the 9th planet confirmed by the Kepler spacecraft. Not even an entire year later, Kepler is up to 28 confirmed planets and more than 2000 more candidates waiting to be studied and potentially verified! Last week, the Kepler mission had a very exciting announcement: Kepler-22b became the first exoplanet to be located within the habitable zone. So let’s take a look at this exoplanet. Kepler-22b has a radius around 2.4 times that of the Earth. It is located 587 light-years from Earth, orbiting a star not so much different than our own. Though Kepler-22b’s host star — Kepler-22 — is slightly smaller and cooler than the Sun, Kepler-22b orbits closer than the Earth does to the Sun, compensating for the difference. Kepler-22b’s mass and surface composition is still unknown. So, we have a planet not too much larger than the Earth (though we don’t know its composition or mass), orbiting a star not too much smaller/cooler than our Sun, in the so-called habitable zone. What are the chances of life? First, we have to remember that while the Earth sits in our solar system’s habitable zone, so does Mars, Ceres, and sometimes Venus, and those are hardly bodies that appear to be very conducive for life (though, I think the book on Mars still has many pages to be read). But, then there’s the Earth, that Goldilocks planet within Sol’s habitable zone; life flourishing. So. Not only is Kepler looking in the right places but it is finding what it is looking for, and proving quite able to find out just how rare planets like our own might be. At 587 light years from Earth we won’t be sending a probe to Kepler-22b to do reconnaissance anytime soon, but this discovery does fuel our imaginations, fill our minds with knowledge, and inspire us to carry on looking. At the very least, it proves just how capable the Kepler spacecraft is and just how amazing the mission truly is. As mentioned in the last post, NASA’s Kepler mission made an announcement today, about the confirmation of another exoplanet. This was a fascinating find, as the planet discovered — Kepler-10b — is only 1.4 times the size of Earth, and probably terrestrial (rocks and metal; not a gas giant) in nature. This discovery marks the smallest exoplanet yet discovered! Not bad, for something 560 light years away. Remember, Kepler’s goal is to discover “Earth-like” planets, and then determine how many of them might be in a habitable zone. Is Kepler-10b habitable? It would be highly unlikely. The planet orbits its host star, Kepler 10 (see how they do that? ), in an orbit that brings it much closer than Mercury is to the Sun; more than 20 times closer. This means Kepler-10b is hot… several thousand degrees hot! On top of that, it has more than 4-and-half times the mass of the Earth. Standing on Kepler-10b would give new meaning to the phrase, “hot and heavy”. 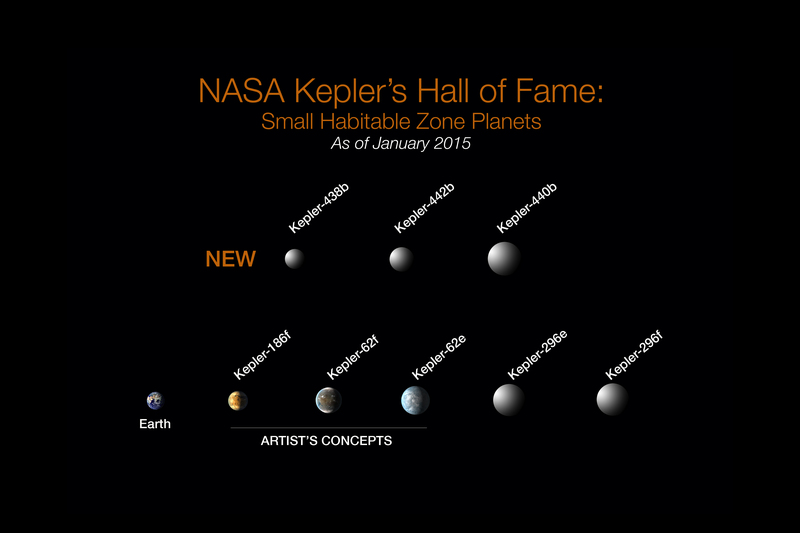 Another interesting bit of information, is that it’s expected to be tidally locked to Kepler 10. Just as the Moon only shows its one face to Earth, Kepler-10b only shows one face to its star. My imagination quickly conjures up an imagination of a planet habitable on one side, and a scorched realm of hellfire on the other — but the facts probably indicate the entire thing is closer to the latter; a big dense glob of molten material. So, let’s quickly recap some of the highlights of Kepler’s 9th confirmed exoplanet discovery. Following the announcement, NASA/Kepler held a chat with Kepler Mission expert, Natalie Batalha. It was open to anyone who wanted to join in, and I noticed about 250 participants during the event. There were some great questions and answers, and a full transcript should be up within a couple of days. Q: Can Kepler determine anything about the chemical content of a candidate planet’s atmosphere to determine if it would be suitable for life as we know it? Natalie: Kepler can not probe the atmosphere of the planet, no. However, I fully expect other telescopes and missions to do transmission spectroscopy to see if it has an atmosphere. With transmission spectroscopy, you observe the planet when it is right in front of the star (allowing starlight to stream through its atmosphere) and then you observe it when it is not in front of the star. Then, you compare the two to see what the atmosphere might have done to the starlight. Q: How do you measure the planet mass, size and the distance to the star? And the planet composition? Natalie: Mass comes from the Doppler measurements of the wobble of the star as the planet/star orit about their commone center of mass. Radius comes from the amount of dimming of starlight that occurs during transit. The distance can be derived if you know the surface temperature and radius of the star. Together they give the intrinsic brightness. We know how bright the star appears to us. 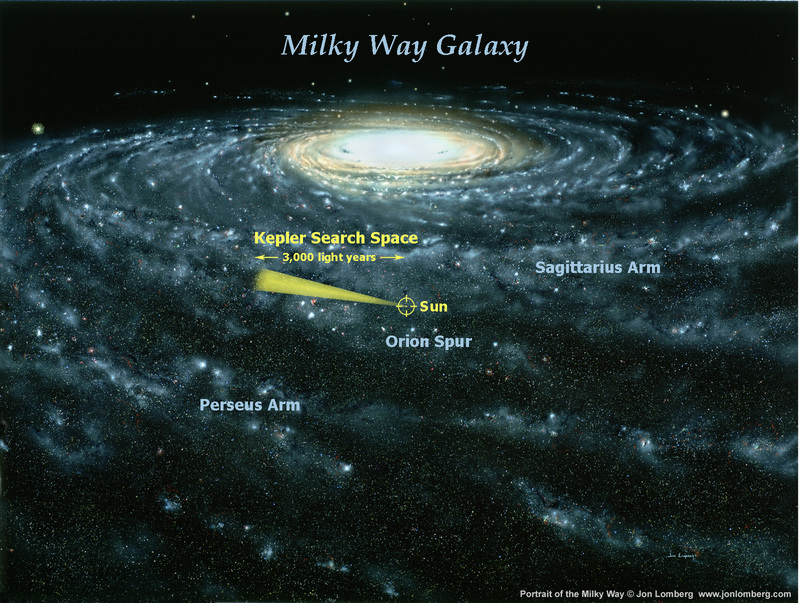 Knowing how right it SHOULD be instrinsically allows us to determine how far away it is — 560 light-years for Kepler-10. Q: What are the prospects for additional planets in the Kepler 10 star system? Any hints? Natalie: There is actually already a very compelling signature of another potential planet in this system. There is a transit event that recurs once every 45 days and is suggestive of a planet a bit larger than 2 times the radius of the Earth. The Kepler Mission is a wonderful tool to unlocking our understanding of planets outside our own solar system. It’s an exciting time to be on the one known planet (so far!) that allows us to enjoy it. NASA’s Kepler mission will be holding a press conference tomorrow, to make an announcement about a “new planet discovery”. A new planet discovery will be announced Monday Jan. 10 during the ‘Exoplanets & Their Host Stars’ presentation at the American Astronomical Society (AAS) conference in Seattle, Washington. Natalie Batalha of the NASA Kepler Mission Team will be online answering your questions about this new planet finding on Monday, Jan. 10 from 3:30 p.m. to 4:30 p.m. EST / 12:30 p.m. to 1:30 p.m. PST. Natalie will be chatting with you live from the conference in Seattle. The chat can be found at this website. To summarize the mission, Kepler is a space-observatory –launched in 2009 — designed to discover Earth-like planets orbiting other stars. It has a planned mission lifetime of 3.5 years. 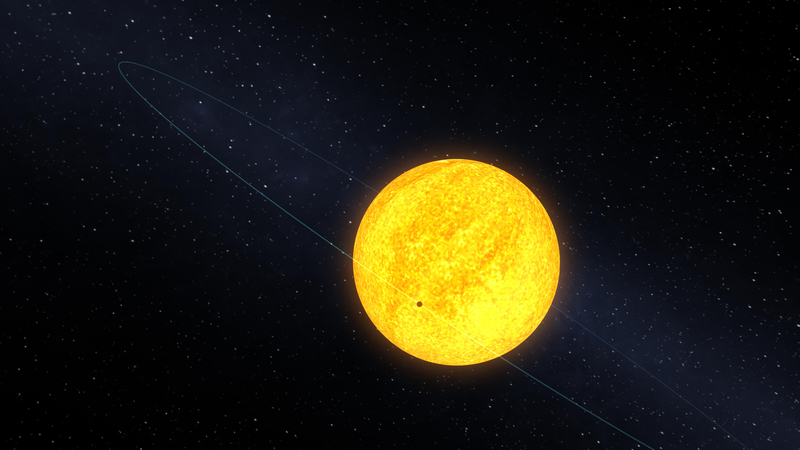 Kepler measures light from stars, and watches for dimming which could indicate a planet transiting in front of the star. Many of the stars Kepler has observed have been variable stars — stars whose brightness changes naturally, as opposed to anything blocking some of its light. These variable stars are dropped from the target database, and replaced with new candidates. 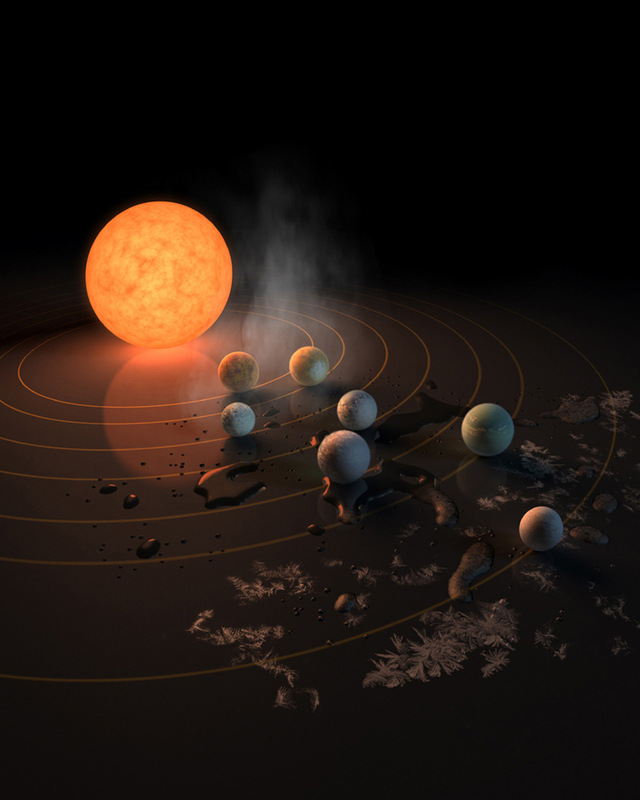 The challenge now is to find terrestrial planets (i.e., those one half to twice the size of the Earth), especially those in the habitable zone of their stars where liquid water and possibly life might exist. The Kepler Mission, NASA Discovery mission #10, is specifically designed to survey a portion of our region of the Milky Way galaxy to discover dozens of Earth-size planets in or near the habitable zone and determine how many of the billions of stars in our galaxy have such planets. 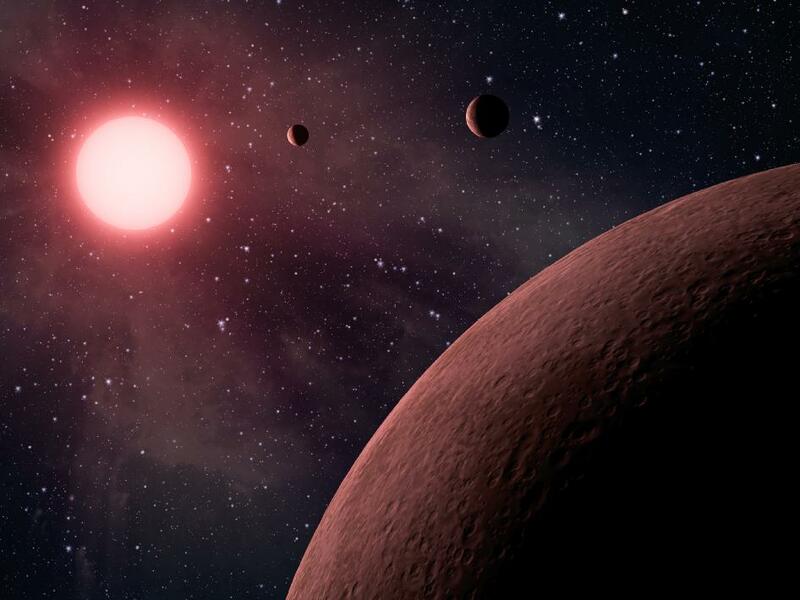 So far, Kepler has found more than 700 planet candidates, which require further data-analysis and ground-based observations to rule out any “false signatures”. Kepler has 8 confirmed planets. These have ranged in mass from 7.7% to more than double the mass of Jupiter. For comparison, Jupiter is 317 times more massive than the Earth — or, Earth is .3% the mass of Jupiter. So, we wait until tomorrow (or today for many of you) to find out the details of our newly discovered exoplanet friend.